The VAO art competition is a not for profit event open to both amateur and professional artists based in the UK and internationally. The aim is to give artists the ultimate platform to develop their passion and career in the arts sector. Finalists will benefit from exhibiting, selling and showcasing their work to art critics and art buyers alike. Exhibition at Chester Arts Fair 2020 worth £1,000. 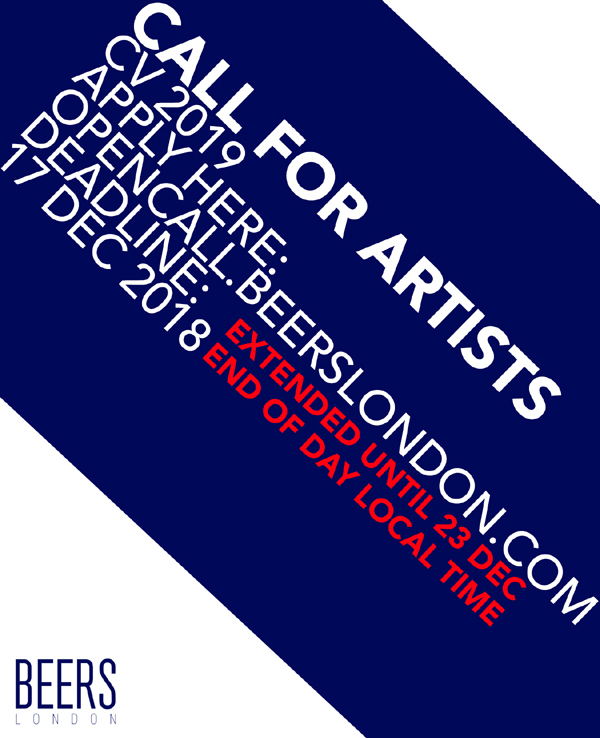 This year, artists who apply on or before the 12th December will receive guaranteed coverage on our social media channels, email newsletter and feedback from the judging panel. The call for artists of the 13th Arte Laguna Prize has officially opened. 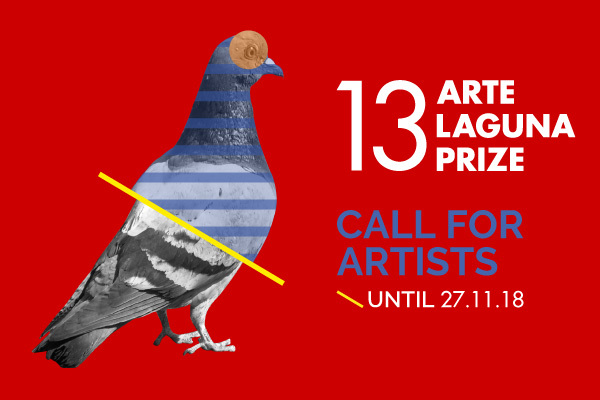 Arte Laguna Prize is an international art contest that has been promoting contemporary art for thirteen years, collecting thousands of applications from artists from all over the world, selected by a jury of excellence for the great exhibition in the Arsenale of Venice. 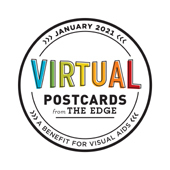 In addition, the participants have the chance to win several awards in collaboration with companies, foundations, galleries, including cash prizes. 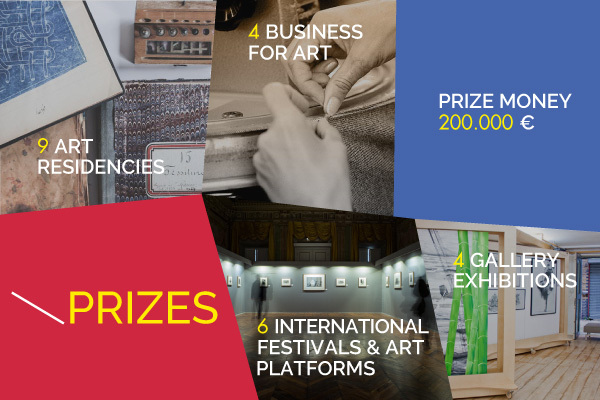 10 Contest categories: painting, sculpture and installation, photographic art, video art and short films, performance, virtual art, digital graphics, land art and this year's new entry, urban art, design. 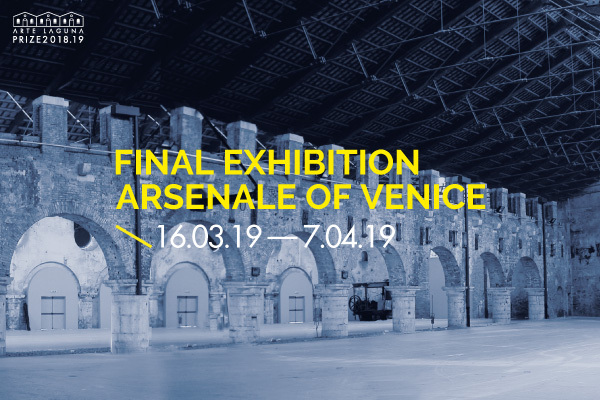 The collective exhibition will take place in the historical location of the Arsenale in Venice in March 2019 for 3 weeks. Realization of 4 personal exhibitions in international Art Galleries including: set-up, grant of € 500 and a dedicated digital catalogue. Collaborations with companies meant to connect creativity with the production sector. Fraccaro Spumadoro, Treviso, Italy : Prize of 2000€ for the winning project. Participation requires the presentation of works or graphic proposals to be applied to the packaging of the products by Fraccaro Spumadoro. Tessitura Luigi Bevilacqua, Venice, Italy: a supply of the precious Velvet Soprarizzo Leoni made with a loom from 1700 and worth €2,000 for the realization of a project involving the use of fabric. 47 Anno Domini, Treviso, Italy: Prize of 2000€ for the winning project. Participation requires the presentation of site-specific installations or projects designed for the spaces of 47 Anno Domini. Maglificio Giordano's, Cappella Maggiore (Treviso), Italy: Prize of 2000€ for the winning proposal. Participation requires the submission of works or art projects where the connection with the fashion world is predominant. The Art Spirit Foundation, Connecticut, United States: Prize of 3000€ for the winning artwork made with the use of pastels. Each year we offer a limited edition lithographic hand-numbered print (strictly limited to 250) for the far from princely sum of £10. This print, by artist Jay Cloth, provides automatic entry into the draw for our ‘LOTTERY SHOW’, now in its tenth year. The draw will take place on October 7th, the Sunday of the weekend of Frieze Art Fair. The winner will be given a 4 week slot (to use however they like!) as part of the gallery’s programme the following year. 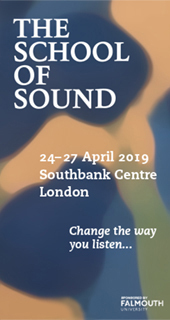 for more information or to buy a ticket click on this link. F The Art World is an annual art competition where fine artists, photographers, digital artists, and sculptors compete for a chance to be exhibited in New York City for an entire week! Unarthodox is calling on you, amateur and professional artists, to participate and win a chance to show your art to the world! Artwork will NOT be judged on the technique and professional skill, but on the interpretation and depth of the subject matter. A winner in each category above will get the opportunity to exhibit their work in the group art show at the Unarthodox Gallery in Chelsea, New York City for an entire week! All other participants' artwork will be displayed in a large projection during the opening ceremony. All winners will also be announced in the Unarthodox social media accounts, newsletter and both local and international media channels. Competition is hosted and organized by Unarthodox. The panel of Jurors is average professionals, everyday people of different walks of life from countries throughout the world. Jurors represent different countries including France, Italy, Russia, Switzerland, Brazil, Uruguay, England, Japan, New Zealand, and The United States. Our judges are not art professionals. We believe that artwork should not be judged by professional art critics, but by people who appreciate art and are not tainted by the "rules, regulations and expectations" of the art establishment. We are looking for true expression from amateur and professional artists without intimidation or restrictions. Fine Art /Mixed Media -Acrylic, oil, watercolor, charcoal, photography and various other materials. Photography - digital and traditional - Raw and manipulated photography may be used. Sculpture - All mediums are accepted. Digital Arts - Computer generated art. All winners will be announced on www.ftheartworld.com and www.unarthodox.com websites. Note: if you completed an application last year you must create a new application this year as the system has been reset and all previous submissions have been disregarded. Contemporary Visions is an annual group exhibition to identify and explore current themes, trends, and discoveries in contemporary art across all media and disciplines. 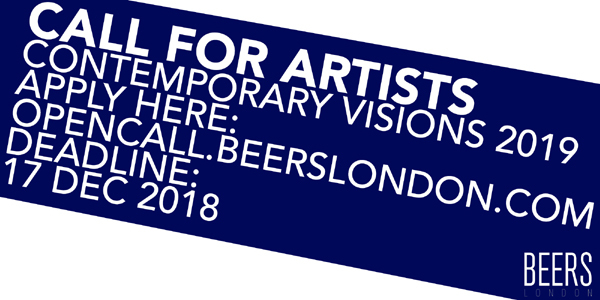 This is a remarkable opportunity for artists at any stage to exhibit in a vetted exhibition in the heart of London’s vibrant art community. Past winners have gone on to solo-exhibitions with the gallery, presentations at art-fairs, or inclusions in publications, such as ‘100 Painters of Tomorrow’, as well as other noteworthy opportunities with Beers and other galleries alike. 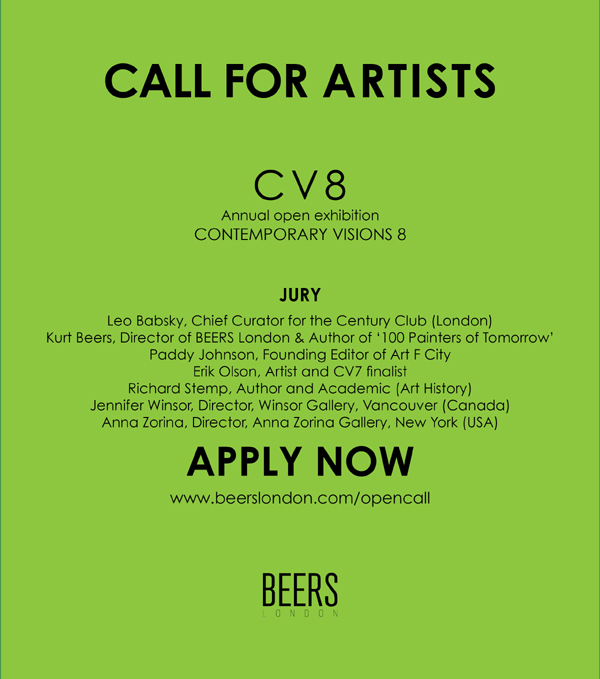 This year, the jury includes Leo Babsky, Chief Curator of Century Club (London); Kurt Beers, Director of Beers and Author of '100 Painters of Tomorrow; Paddy Johnson, Founding Editor of Art F City; Erik Olson, Artist and 2016 CV7 finalist; Richard Stemp, author and Art Historian; Jennifer Winsor, Director of Winsor Gallery, Vancouver (Canada); and Anna Zorina, Director of Anna Zorina Gallery, New York (USA). Artists worldwide at any stage of their careers may apply. 12 January - 17 February, 2018 / Preview Thursday 11 January 2018 from 6-8pm *Dates are subject to slight change. All media is accepted. This includes, but is not limited to, painting, photography, sculpture, video, and all two-dimensional and three-dimensional work, new-media and any non-traditional media. Do not apply with work that is dated prior to 2016. Maximum-pixel height/width is 2000x2000 at a preferred 300dpi. *Note: images may appear cropped when uploading; however, the entire image is viewable on the back end of the system so please proceed if this occurs. There are no restrictions to the dimension of actual works exhibited apart from the gallery ceiling height of 2.75m. Work must be available for sale during the exhibition dates. Artists working in video or time-based media can submit up to 4 video stills, accompanied by a maximum of 2 unique videos edited to a maximum preview runtime of 1 minute. (Please indicate the full runtime of your video in the description of your work.) Videos must be uploaded to a password-free hosting site such as Vimeo or Youtube. Please provide the link in the description of your work. Videos protected by passwords will not be viewed. Artists of interest will be contacted to submit videos of a longer or full runtime. Do not post DVDs to the gallery as they will not be considered. Submit all information directly to the online application system. No postal applications will be considered. There is a processing fee of £10 to submit - payable via Paypal. You do not need a Paypal account in order to complete payment. Results will be sent to the emails provided to each applicant, however, in certain instances spam filters, inbox limitations, and incorrect emails provided during your application process often means that you will not receive pertinent information. Therefore, we recommend checking the BEERS site regularly for updates and we kindly ask that you DO NOT email the gallery for updates as everything will be posted accordingly to our website in the event you do not hear from us via email. For further queries, please contact info@beerslondon.com.